This year’s Fungal Update Meeting is ongoing (15th and 16th, March, 2019) at the QE2 conference centre, London, UK. The meeting, now in its 14th year, is the largest mycosis focused specialist meeting in the UK. 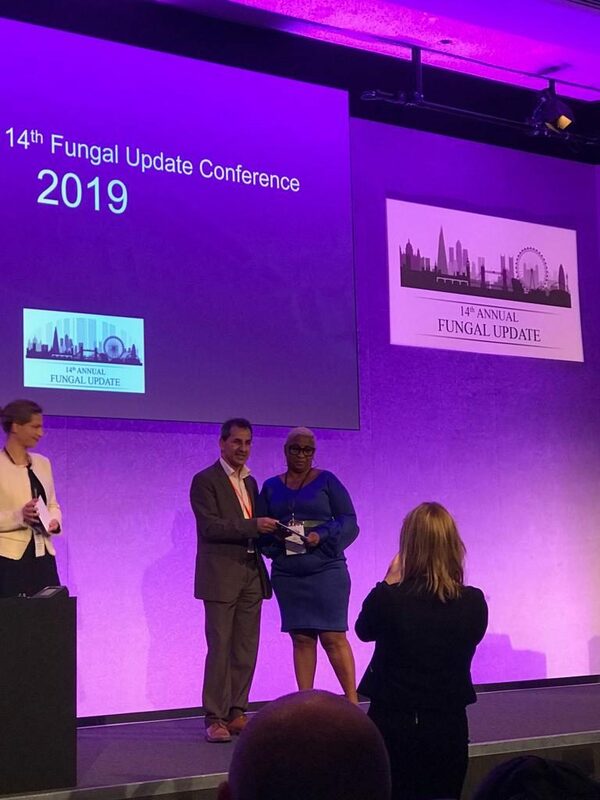 MMSN president, Dr Rita Oladele, in her usual trailblazing style, picked up a prize for best abstract following her presentation on ‘Standardisation of Aspergillus IgG in Nigerians’. Co-awardees were Toine Mercer and Nicole Pagani. 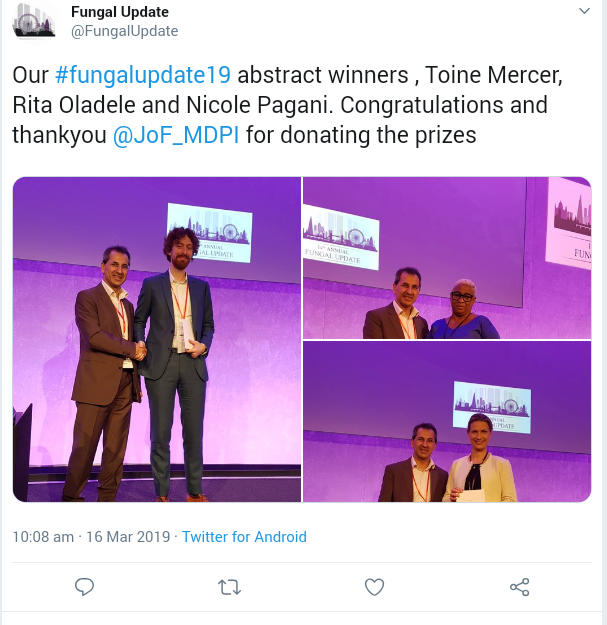 The prizes were sponsored by Journal of Fungi, an open access journal sponsored by MDPI. Here is to future outstanding achievements to MMSN and all her members. Cheers!